It should prove ridiculous fun, as Blaise, Elaine and Terry Ramsay shall man the booth. We shall have various cool things to see and to buy, including all sorts of DVDs, CDS, and publications. If you have a chance, please come down and see us! I am offering a free download of my new record... All you have to do is write me and ask. At that point I will send you a link for the download. That's all. To celebrate and promote the brand new Fukachuk Egg Machine record 'The Amazing Ostrich Transit System' There is a amazing new special video presentation entitled "Blaise Kolodychuk - A Very Special Man"
You will see amazing things and watch Blaise Kolodychuk preform (sort of) 3 songs from this up-coming album. 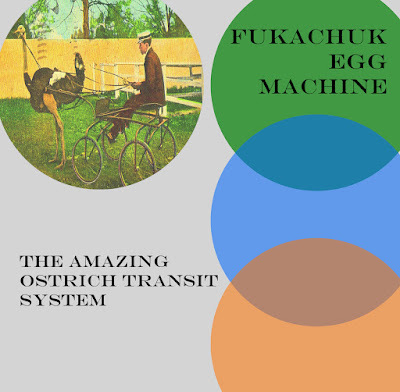 In vivid colour and sound you will experience the amazing power of all that is fukachuk egg machine and hear the songs: Chip Shrinking, Sifting Flavour, and Hello Mademoiselle Lizard. Please take some time out of your busy schedule to watch Blaise Kolodychuk - A Very Special Man... you will not be disappointed. The exciting new film called "Planting Buttons" is here for you to watch! I hope you like it... back to my old black and white weirdo art horror films for a little while. Ostriches, Buttons, and the likes. 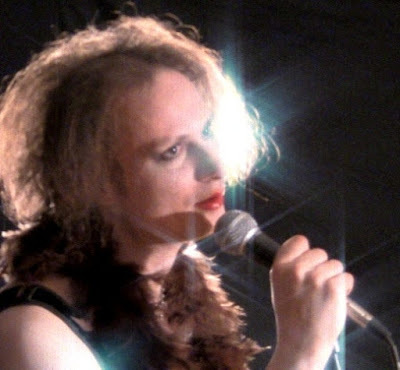 Also, the new film starring the gentle boneless leg dog, gill boyling, johnny auchie, and a cockroach, titled "Planting Buttons" will also be coming out in the next week... it is kind of horror, animation and weird... pretty much your basic fukachuk egg machine film. More announcements as they happen.